Home » Jack Unsworth on Shaping with Skinner and Surfing Westward Ho! 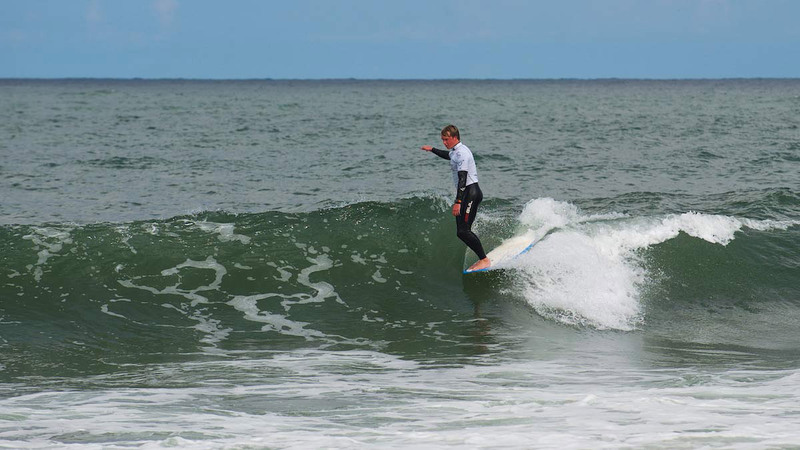 Jack Unsworth on Shaping with Skinner and Surfing Westward Ho! There is sometimes a sense of anonymity when you sit, neoprene clad in a line-up. How much do you know about the surfer next to you? Maybe they’re playing the arduous balancing game of surf and study; reading for a degree in mathematics whilst gunning for a place on the World Longboard Tour. If that’s the case then you’re sat next to Jack Unsworth. He’s a mathematician on a mission to prove that older isn’t always wiser when it comes to longboarding and has the backing of GUL to help him on his way. 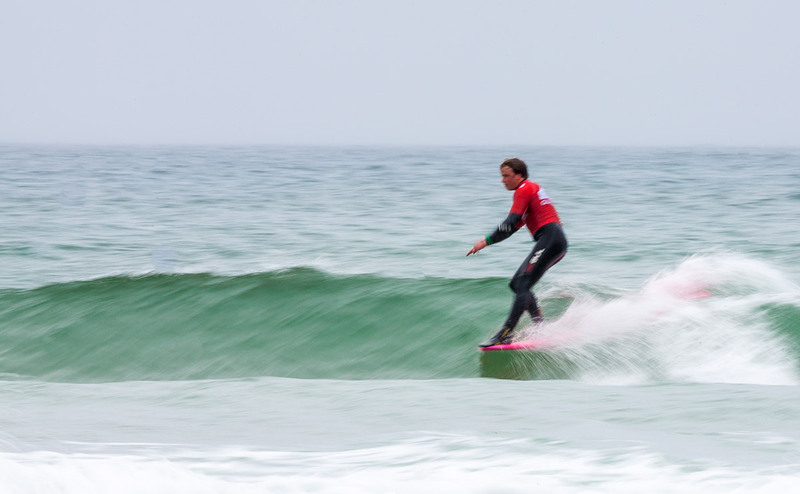 We caught up with the current European Junior Longboard Champion to ask how his arithmetic holds up when a swell hits. When did you first pick up a board? I’m 18 years old and have been surfing since around the age of eight. I was pushed into my first wave at about five years old but never properly found a love for the sport until I hit eight. So you’re currently studying mathematics at university. Impressive choice, but seriously… why? I don’t know. Mathematics is just a subject I’ve naturally clicked with from an early age. I’ve always found it quite satisfying to be given a difficult problem to solve and crack it. I relish a challenge! How’s the mix of surf and study working for you? To tell you the truth, I haven’t really found a perfect balance yet! A day of studying with a surf crammed in the middle feels rewarding though. The surf gives you a positive attitude when you come back and get on with your work and you appreciate the surf a lot more after spending a few hours sat at your desk! I’ve been working more than surfing since I moved to Uni, but that’s mainly down to a lack of transport. Living in Plymouth for Uni is difficult because you’re right by the sea but quite far from a decent place to surf, especially without a car! I usually car pool or head back home (to North Devon) for the weekend. I grew up surfing my local break of Westward Ho! in North Devon and for people who don’t know this spot, it lacks a pretty significant amount of power! I started out on a shortboard and when I got to the age of 12 I was getting frustrated with my low wave count and the fact that my dad was catching everything with about five strokes on his log! He was getting frequently long waves to the shore and always paddling back out with a smile on his face – unless a set then caught him obviously! The decision to give it a go was easy and I’ve never looked back or regretted it. Traditional vs. progressive longboarding style: Do you combine the two or have a preference? Personally, I find traditional longboarding more enjoyable aesthetically as well as to practice. Bringing surfing back to the simplicity of just enjoying the trim and flow whilst being in the most critical part of the wave always puts a smile on my face. However, riding a traditional log when the conditions aren’t appropriate can look ugly and out of place. I do enjoy watching people like Ben Skinner and Harley Ingleby smash a few lips with their performance boards. 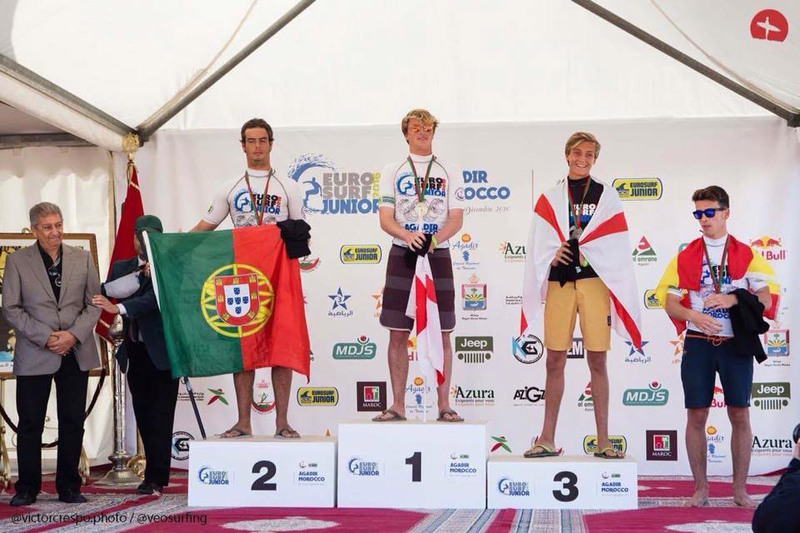 Congratulations on holding the European Junior Longboard Championship title, what was your journey like getting to that stage? It was a different preparation than what I was used to, in the sense that I hadn’t been at home getting in the water and keeping my cardiovascular fitness to a high level. I’d been in Plymouth finishing assignments for the end of a few daunting modules! I made sure I kept weekends free though so I could catch the train home and get into the swing of surfing regularly again. But although Uni was going on I was still training towards that European title in other ways, competing in as many competitions as possible and getting my equipment dialled. What’s your mentality towards competing this year? After my European Junior win I’m going into this year with my head held high! The aim is to give the World Longboard Championships a crack by competing in the European qualifying leg of the World Longboard Tour in the next couple of months. Me and my shaper Skindog, are currently working on a new progressive log called The Wrangler, which is going to be really interesting, so I’m preparing by getting my equipment dialled! Who’s inspired you to surf the way you do? I would say people like Ryan Burch and Tyler Warren. I’ve always thought style has been a really important part of surfing so these surfers are obvious choices. Burch’s lanky, well-refined approach gives me goose bumps every time I see a clip of him, and that’s how I want people to react when they see me surfing. Riding a wide range of equipment is also an essential part of improving your surfing, so Tyler’s ability to rip on any sort of craft is super admirable. Run us through your quiver, do you have a favourite? I have things like a 4’10” bar-of-soap, alaia’s, twinnies, mid-lengths and longboards (progressive and traditional). I’m really enjoying getting on the smaller boards in waves with a bit more punch, so picking a favourite is hard! I enjoy riding them all, but I would say my Skindog Quill is my go-to board for ensuring I have a good time in the water. What would be your dream board to shape? I’d love the chance to shape a super fat log for super gutless days at my local, something around the 12’ range, a full glider! No idea where I’d get the space or patience to shape something of that length though! Maybe it could be a father-son project for one day in the distant future. Have you escaped to warmer waves recently? The last trip I went on was to Lanzarote a couple of days after my win in Morocco. My dad, my mate and I found a really quiet beachie that was throwing over with the clearest of waters, it was insane! The ultimate goal is to get to places in South America like Peru and Chile and just find some points of solitude. How has GUL helped you and your surfing development? I’ve been with GUL for four years now and they’re a super supportive brand. I’ve had times where I’ve needed a new suit for a contest and they got it to me within a couple of days. It’s hard to find companies that reply in that amount of time! I’m beyond thankful for their backing.